We have two special rooms available between now and December 19. Make your reservation today! Are you looking for a place to host a last-minute holiday or Christmas party for your organization in downtown Toronto? 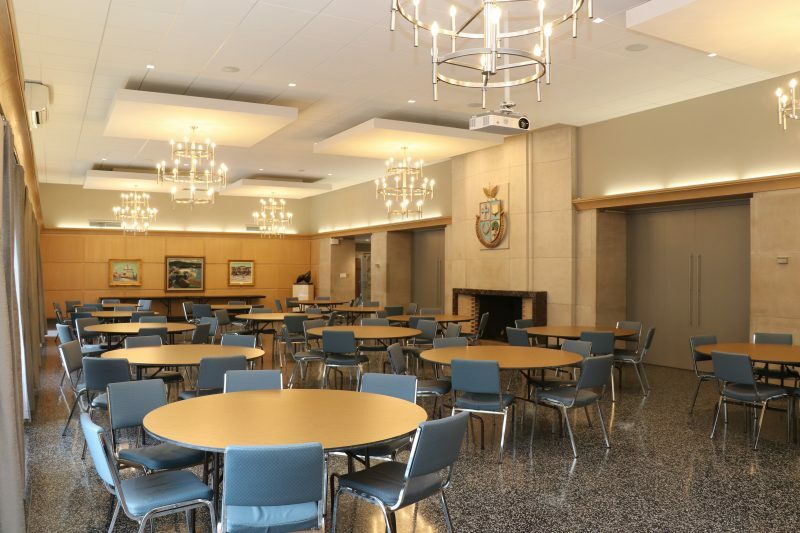 The University of St. Michael's College is pleased to announce the availability of two unique spaces that are perfectly suited to such an occasion. Charbonnel Lounge is one of the most beautiful event spaces at the University of St. Michael’s College. During the year, the room frequently hosts lectures, workshops and formal dinners. This space features a wonderful ambiance and a decorative fireplace and hearth below our institution's crest. Father Madden Hall enjoys the ambiance of the early 20th century. A variety of events have been hosted in the Hall, from lectures and workshops to formal dinners. Located just off St. Joseph Street, this room is conveniently located close to the Alumni Hall parking lot, the “Quad” and several classrooms. 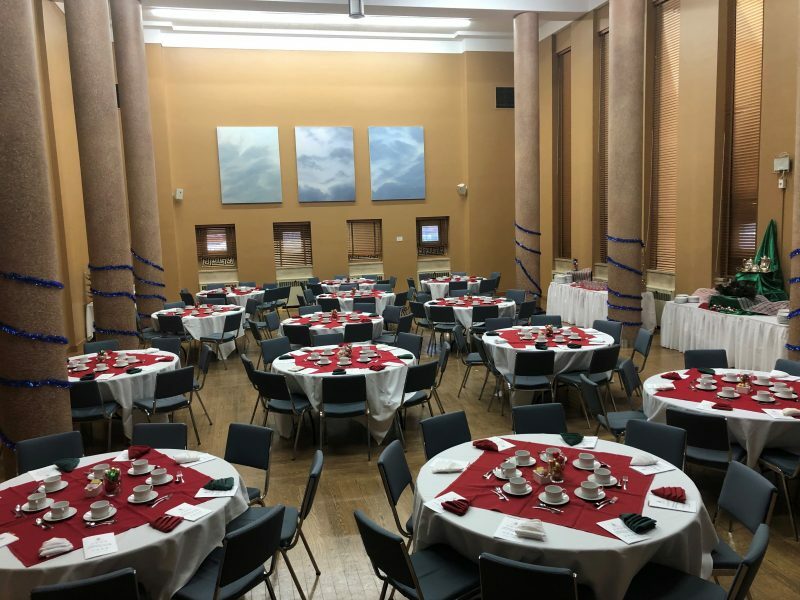 The cost to rent either space is $975, and each space can accommodate up to 120 people in banquet rounds. A/V equipment and catering can also be made available at an additional charge. If you'd like to inquire about a specific date and time for your holiday event, please reach out to us using this form. More information about the capacities and technical details for each room can be found here. Charbonnel Lounge provides a beautiful, historic setting for anything from sit-down dinners to informal holiday parties. Fr. Madden Hall is the site of many important campus events. The space is well suited to parties and small performances.